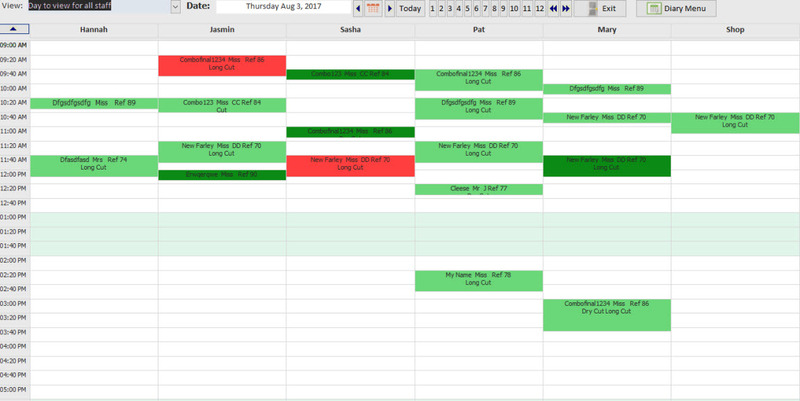 Using a computerized diary system - maybe one of the most difficult decisions for a salon to make. But Not Now! - we've designed our diary around the typical paper diary - that everybody is familiar with - its so easy - make - move - cancel appointments with the click of the mouse. 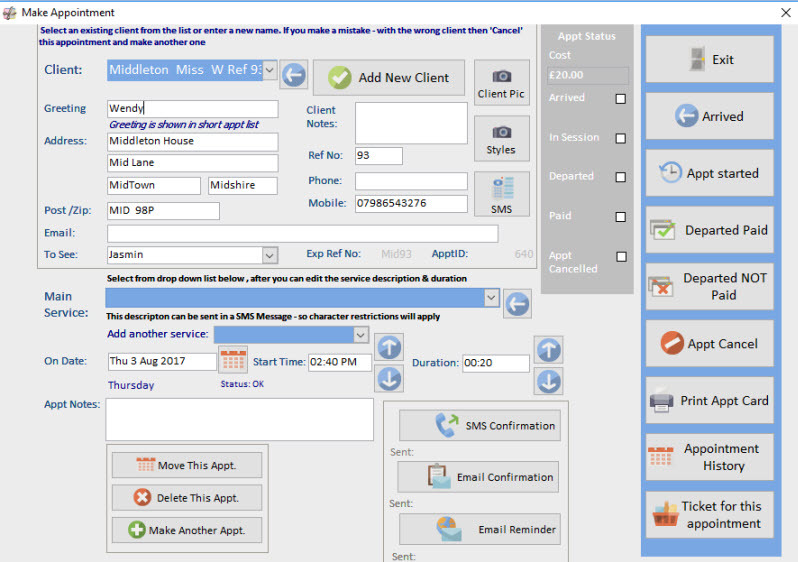 If you decide to use the build in diary then you can virtually do most things from your diary - Create a new client - create their appointment -send an SMS or email confirmation - create the sales ticket and finally take payment - its all done within a few clicks and very easy. Your stylists can be viewed either by 'all week to view' or select a stylist and view for the next 7 days. You can send immediate email confirmation with follow up reminders later. SMS reminders can also be sent immediately - when the client is still on the phone to you. You can select your own color range for vacant appointments - filled appointments - arrived and departed appointments and those in progress. Each Stylist can have their own lunch break time, start and finish times and you can schedule holidays either per Stylist or if the business is closed holidays such as bank holidays. The appointment status is then automatically updated to give you a clear picture of the client history. A client with a poor ‘no show’ record or clients that persistently cancel are clearly shown. You can rename the 'Stylist' to be a tanning booth or bed - you can make an appointment for 'anything' it does not need to be a person.